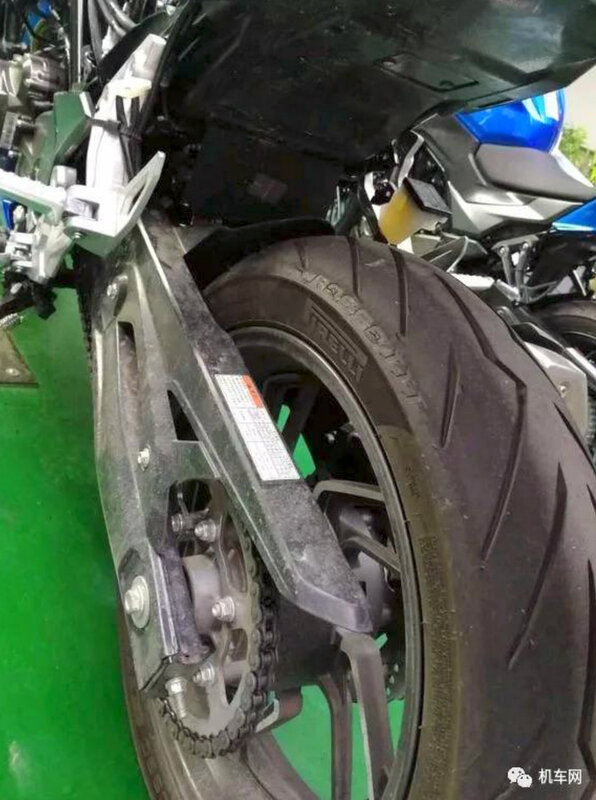 Known as the Haojue HJ300 locally, the new Suzuki Gixxer 300 (GSX300) has been spied undisguised for the first time. Suzuki’s Chinese partner, Haojue, manufacturers of both Haojue and Suzuki branded motorcycles for the local market. Their next motorcycle, is the new Haojue HJ300 naked bike. This was leaked in patent images some months ago. Now, first undisguised images of the bike from inside the production plant have leaked online. HJ300 will be based on the Suzuki GSX-250R in terms of design and will also be positioned on the same platform as used by Suzuki GSX-S300 (aka Gixxer 300). Haojue HJ300 will be launched in China and as the Suzuki GSX-S300 and GSX-S250 in global markets. 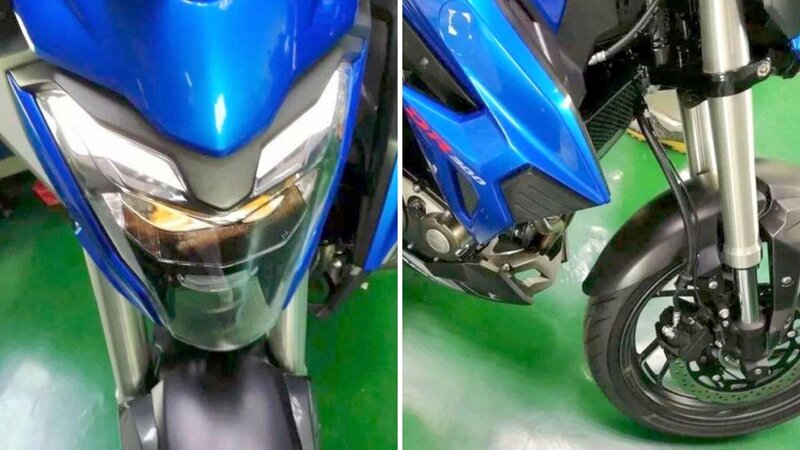 Spyshots of the 2019 Suzuki Gixxer 300 reveals headlamps with LED Daytime Running Lights as was also seen on patent images. It also gets alloy wheels, USD front forks, tank shrouds and an engine belly pan along with swing arm and seats as were also seen on the patent images. The bike sports inverted forks in the front and monoshock suspension at the rear and rides on Pirelli tubeless tyres. Braking will be via petal brakes at both ends and dual channel ABS. It will sport a chiseled fuel tank and raised tail segment along with split seats. It will get powered by a 299 cc, parallel twin, 4 valve engine and while power and torque figures have not yet been revealed, the engine will get mated to a 6 speed gearbox. Haojue HJ300 is based on Suzuki GSX-300R; which Suzuki Motorcycles India plans to launch in the country sometime in the near future. Suzuki Motorcycles India has revealed that they plan to launch bigger cc made in India motorcycles in the future. Demand for motorcycles between 200-400cc is in growing in India. This could result in the 2019 Gixxer 300 coming to India as a CKD import from China. Once launched in India, it will take on the likes of KTM 390 Duke, TVS Apache based BMW G310R, Benelli TNT 300 and Bajaj Dominar 400 in its segment. Prices should range between Rs 3-3.5 lakhs.